Refresh your capsule wardrobe with the Crea Concept ribbed knit top. 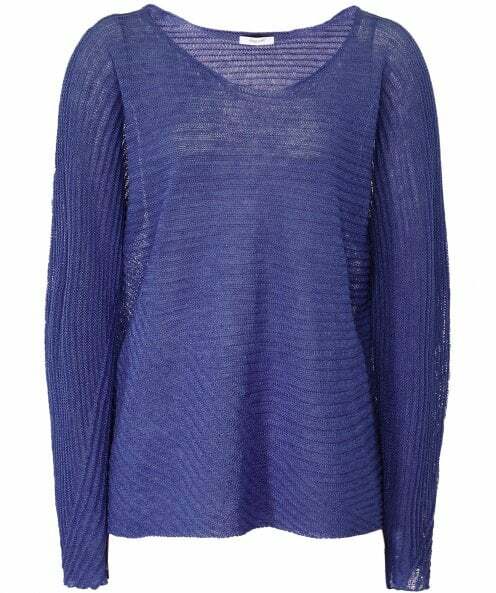 Crafted from a premium blend of linen and cotton with a ribbed finish, this simplistic top features a flattering scoop neckline, raw edges and asymmetric panel detailing. Layer yours over a camisole and style with cropped trousers for a casual everyday look.